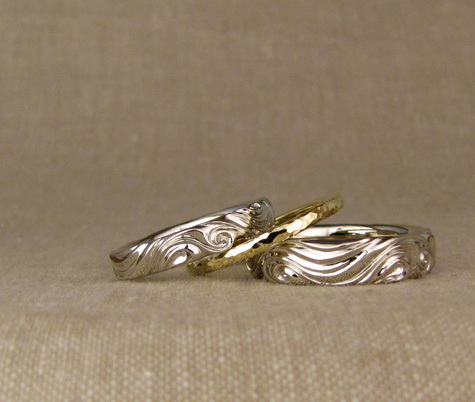 Custom wedding set with a swirling watery motif. 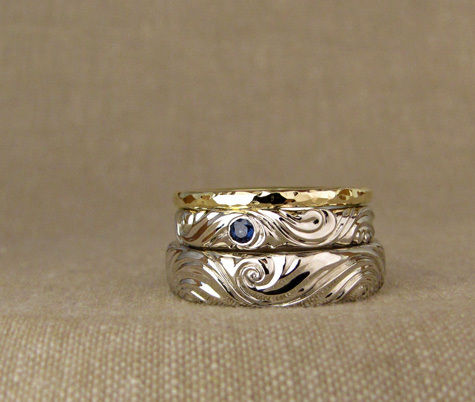 The sapphire was a sentimental family stone we added to one of the bands. 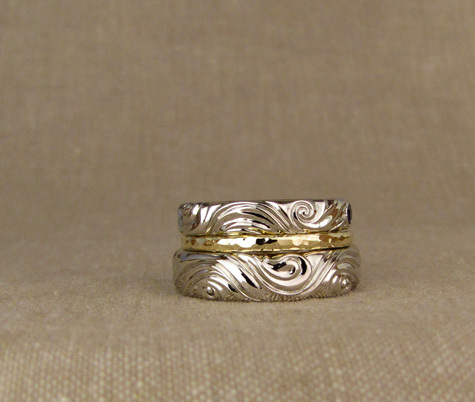 14K white gold & the hammered narrow band is 18K yellow for a nice contrast. 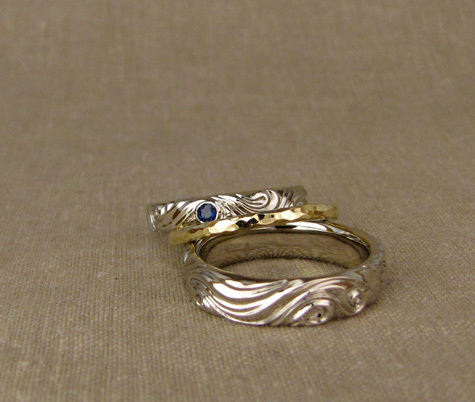 More photos after the click! 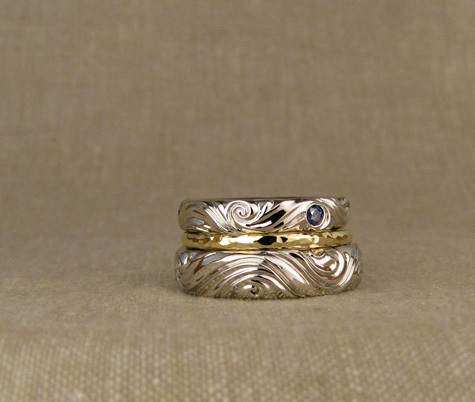 This entry was posted on Monday, October 8th, 2018 at 9:40 am	and is filed under New work, Rings. You can follow any responses to this entry through the RSS 2.0 feed. You can leave a response, or trackback from your own site.